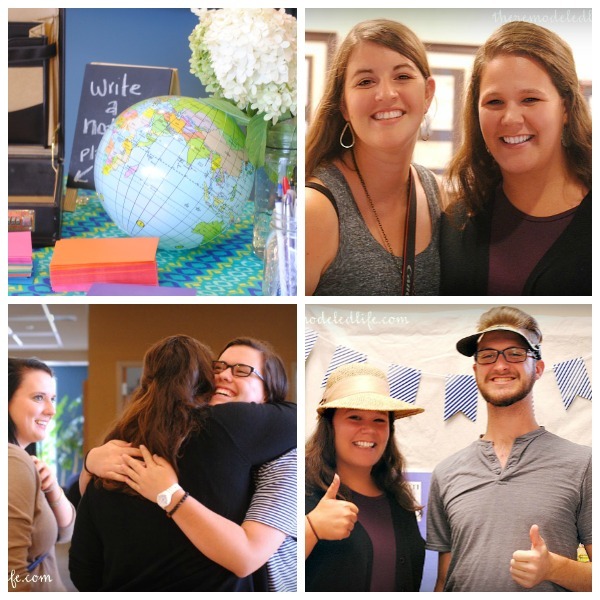 A few months ago one of our dear friends answered the call in her life and made the decision to move to Haiti to serve, love and teach the word of God there. We were incredibly excited for her and we can't wait to see what all God does while she is there. She has been there a month now and I know her faith has grown as she fully leans on the provisions of God. We miss her in so many ways, she has one of the biggest servants hearts I have ever met but we know she is where she needs to be for this season in her life and so we are thankful. 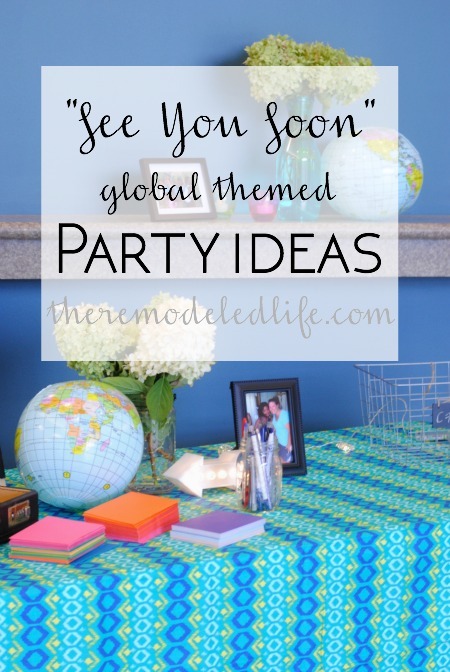 So to send her off with lots of encouragement and support we held a "See You Soon" party. It was fun putting this together for her and we were able to pick up most of the items on major clearance at Target and reuse things we already had - always a win. 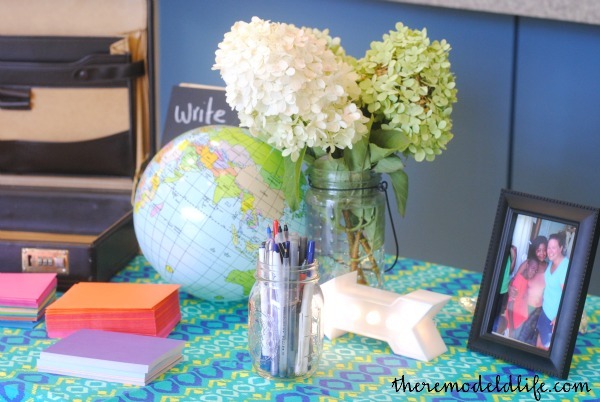 We had a table set up for people to write encouraging notes for her, I'm pretty sure she is reading them one day at a time, a little note from home to encourage her every day. 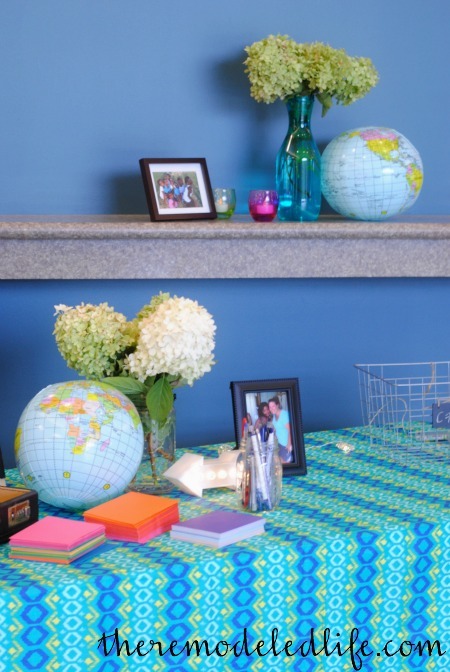 For decorations we found some fun fabric table cloths (on Target clearance for $3/piece! 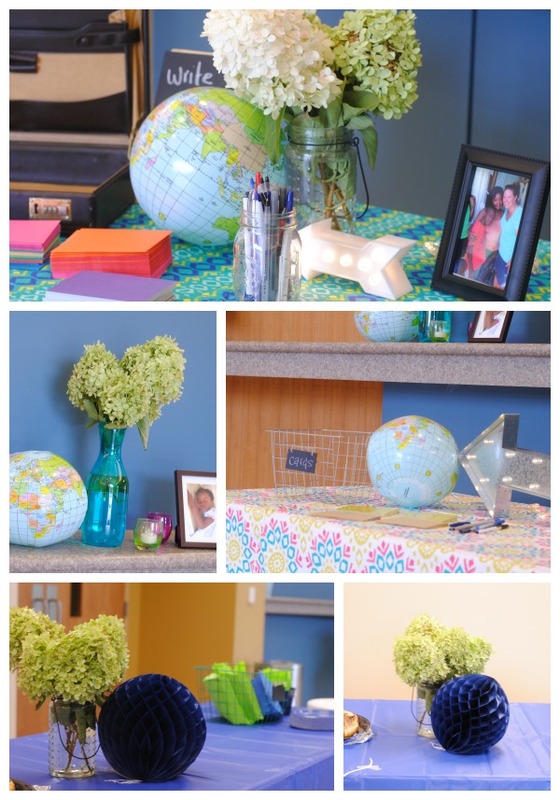 ), some inflatable globes, photos of her in Haiti, a few little items from the dollar spot at Target and I snipped a few hydrangea off of our plant. They were so pretty that time of year. I also found these little light up arrows, they were a fun touch. 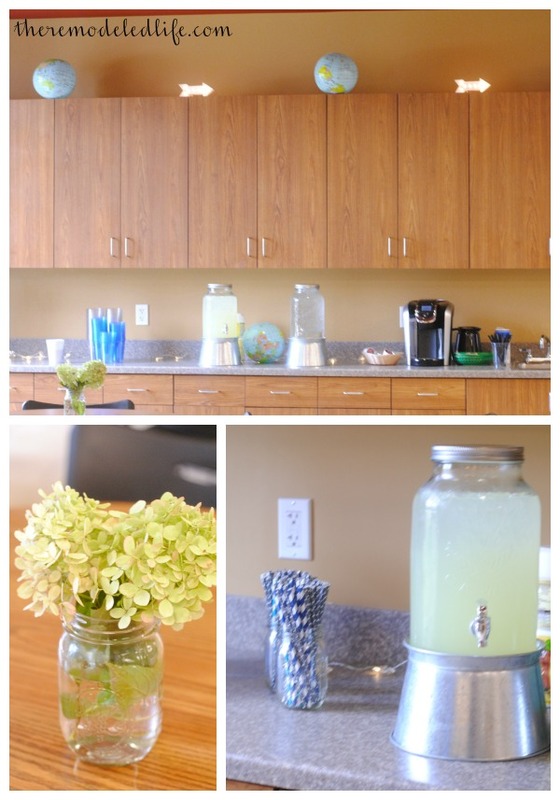 Plus, aren't these mason jar drink dispensers great? 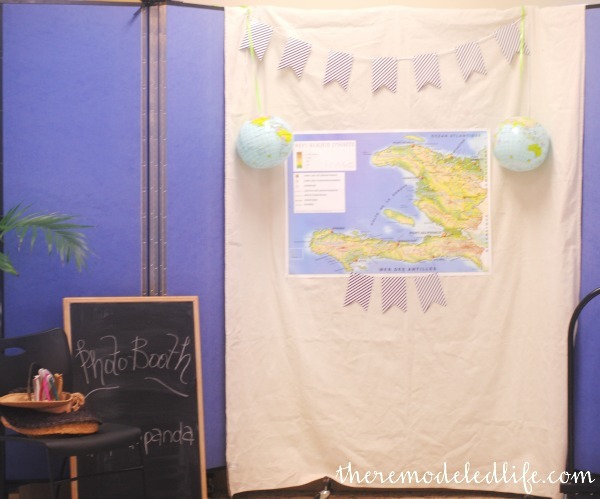 Another part of the party was a photo booth set up with a map of Haiti and some fun props. It was such a sweet time and we were honored to be able to share that time with her. Randa is still in need of monthly financial support. If you are interest in sponsoring her you can visit here. To learn more about what Randa is doing in Haiti, check our her blog here.